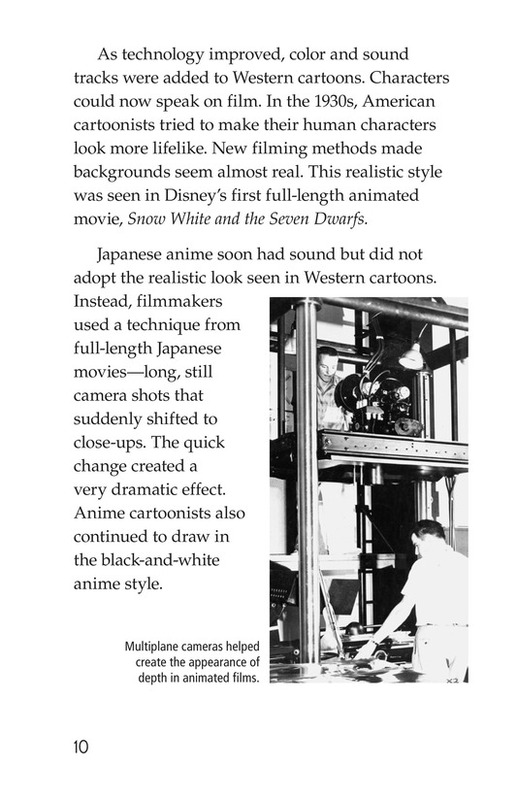 Anime is a Japanese style of animation that embodies the art of modern storytelling. 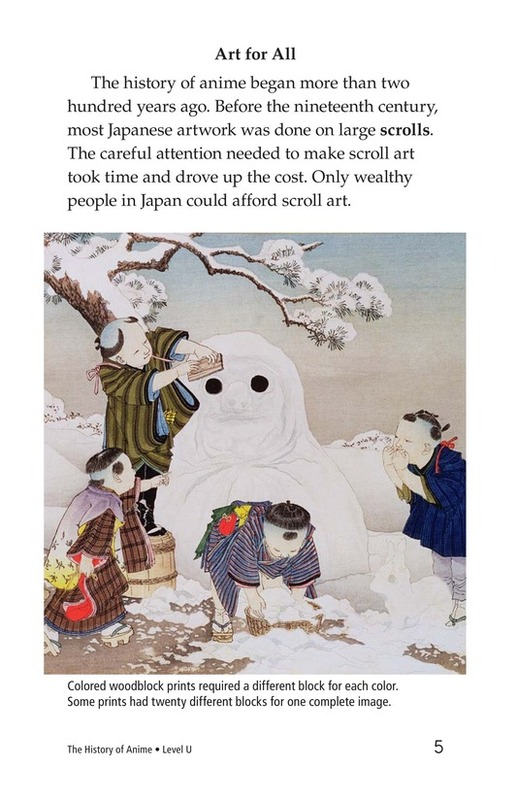 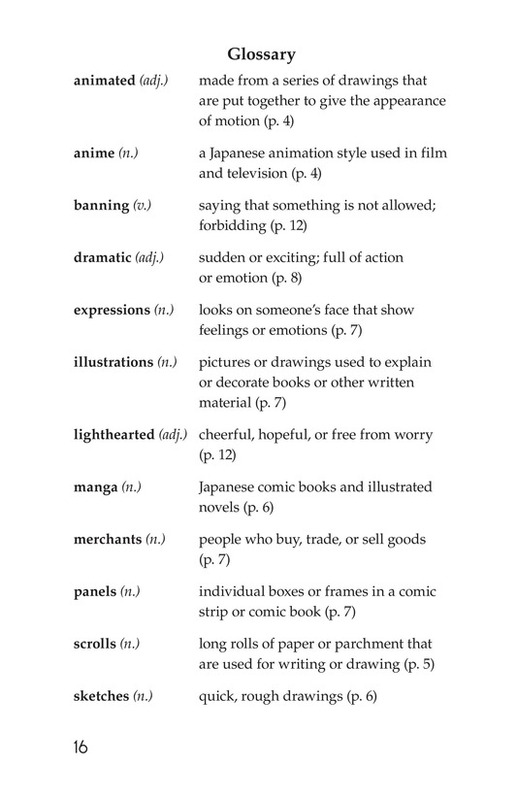 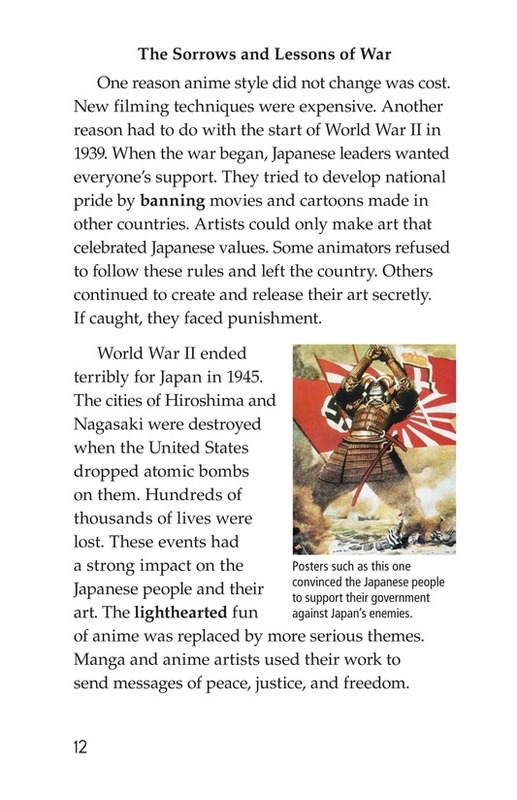 Rooted in the vast history of various Japanese art forms, anime has become widespread throughout the world. 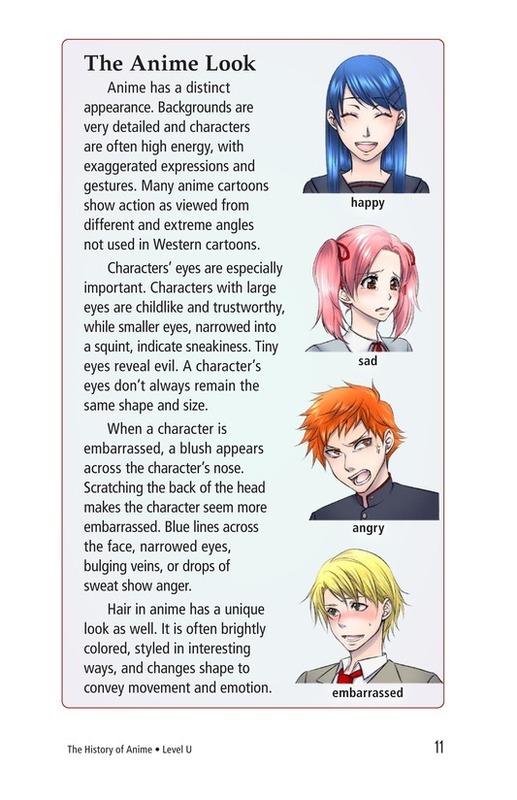 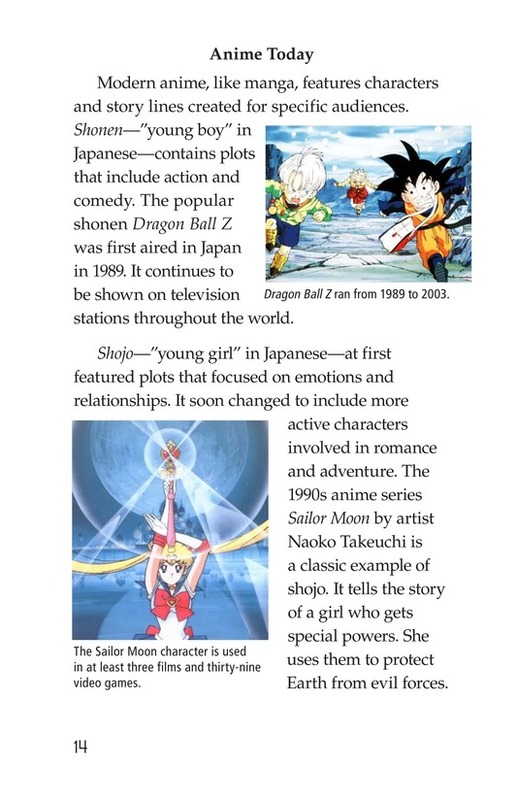 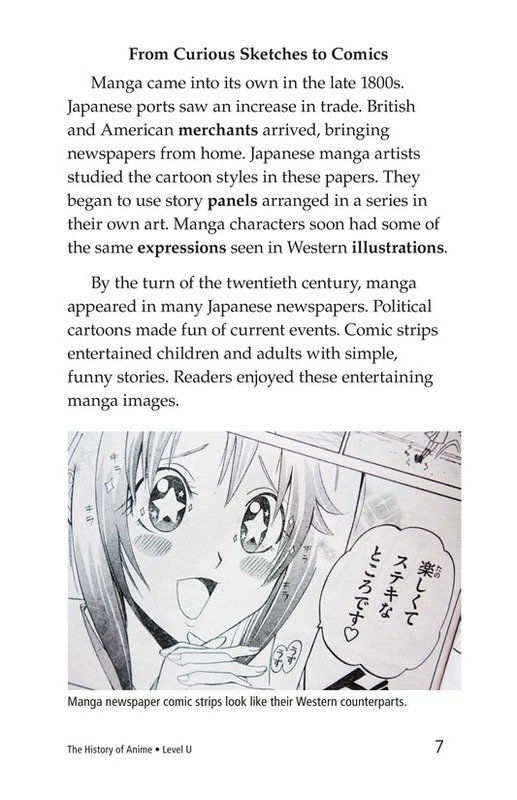 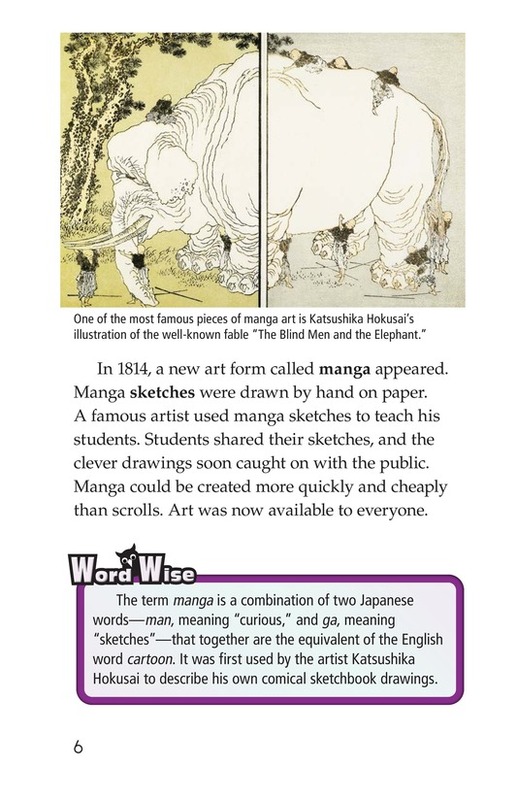 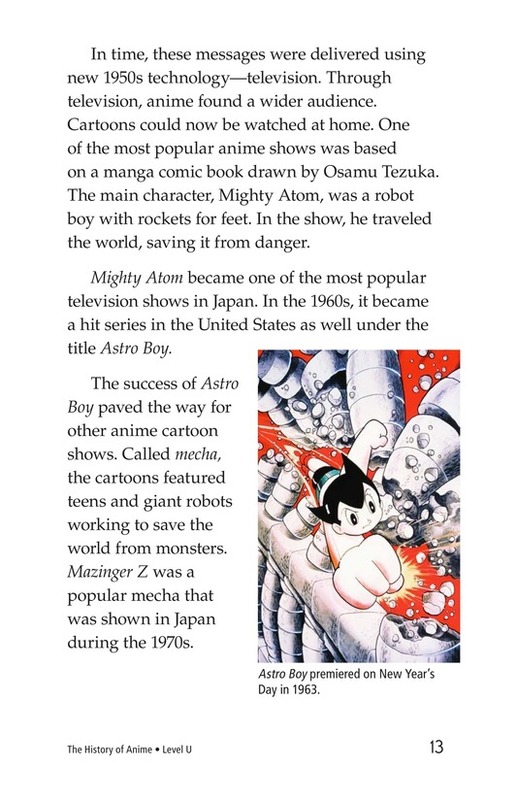 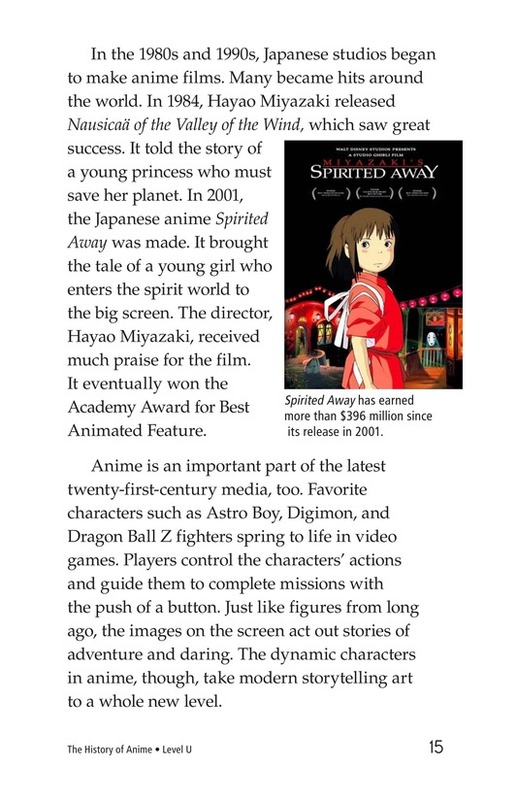 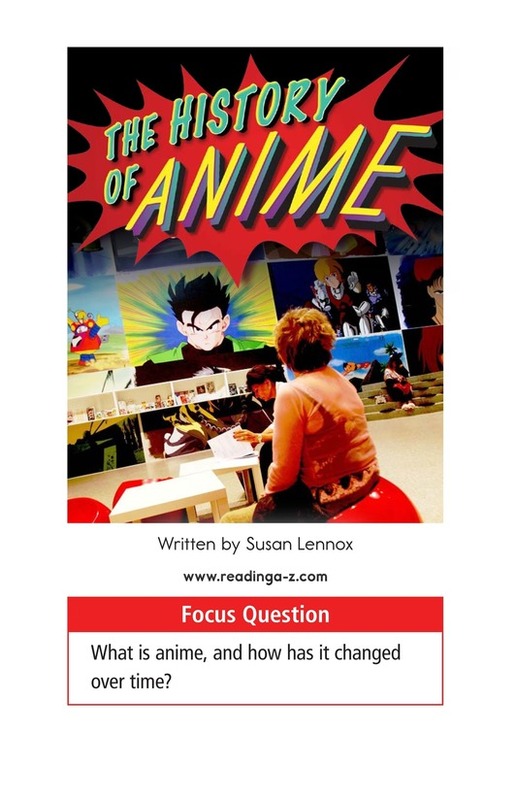 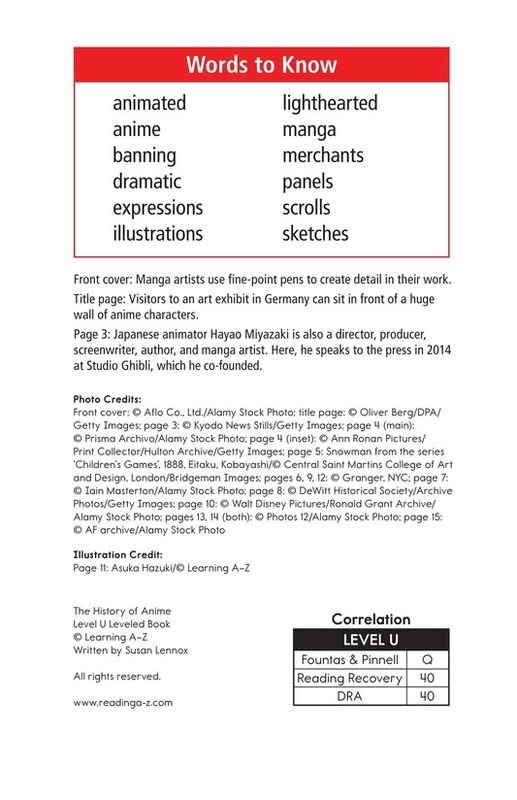 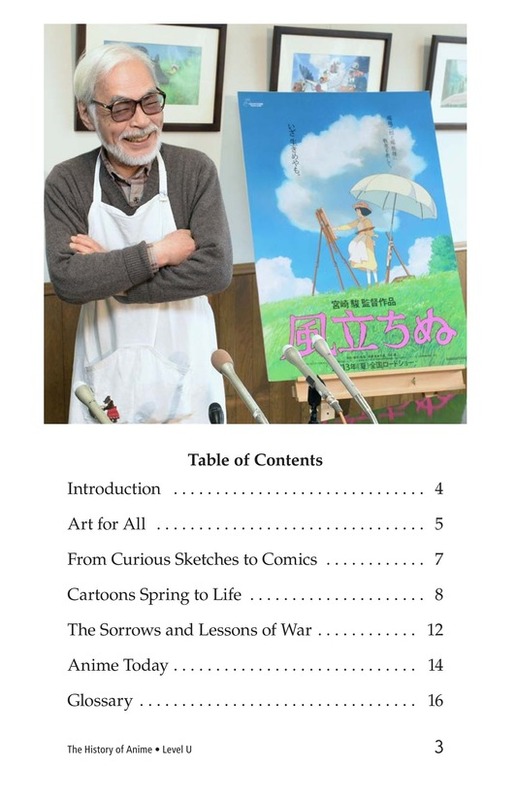 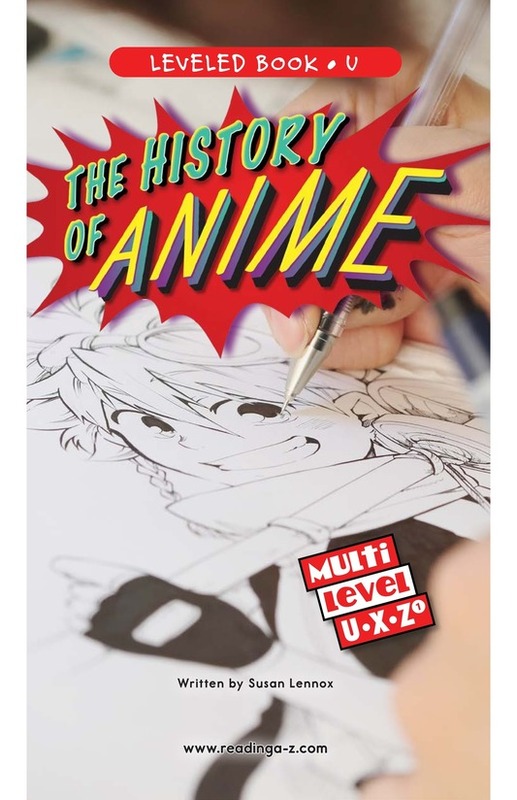 The History of Anime details the events and influences that led to the rise of anime in popular culture. 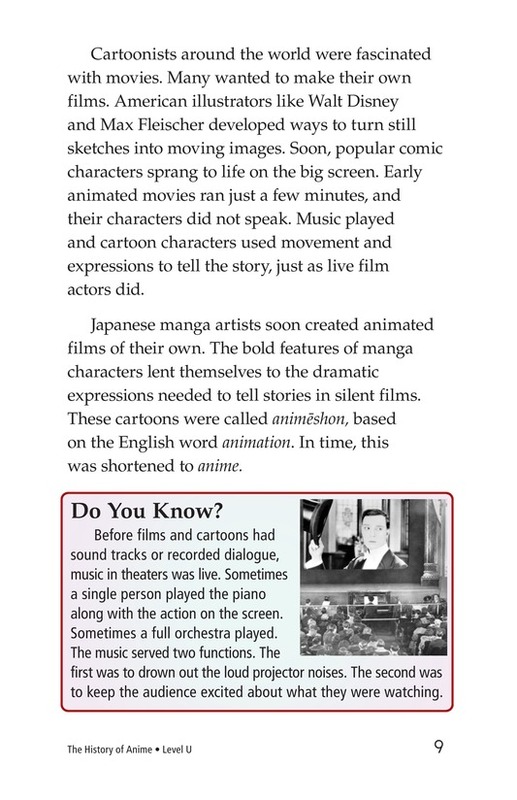 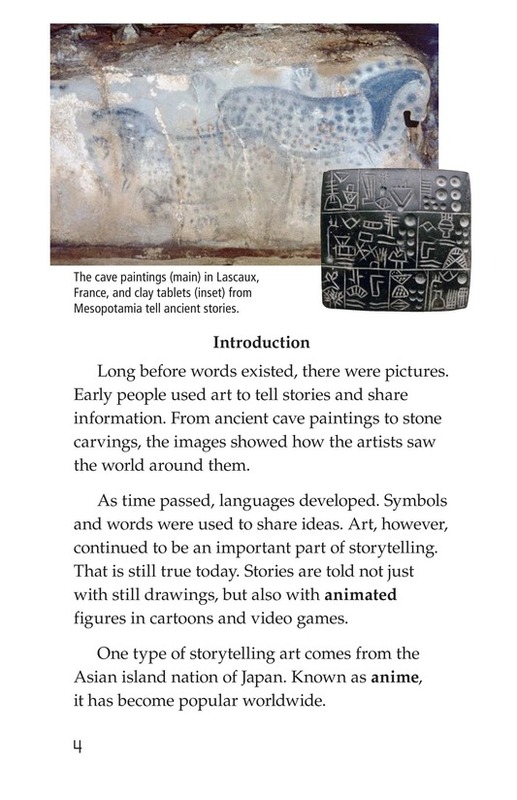 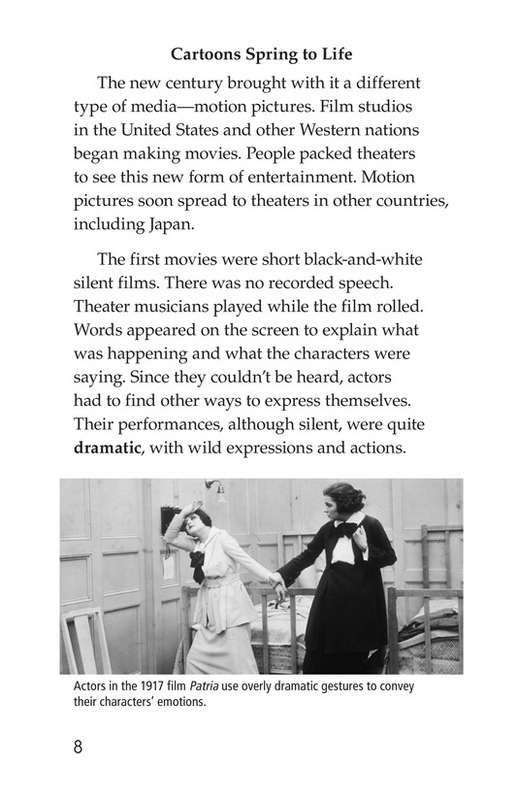 The book can also be used to teach students how to effectively sequence events and the proper use of past-tense verbs. 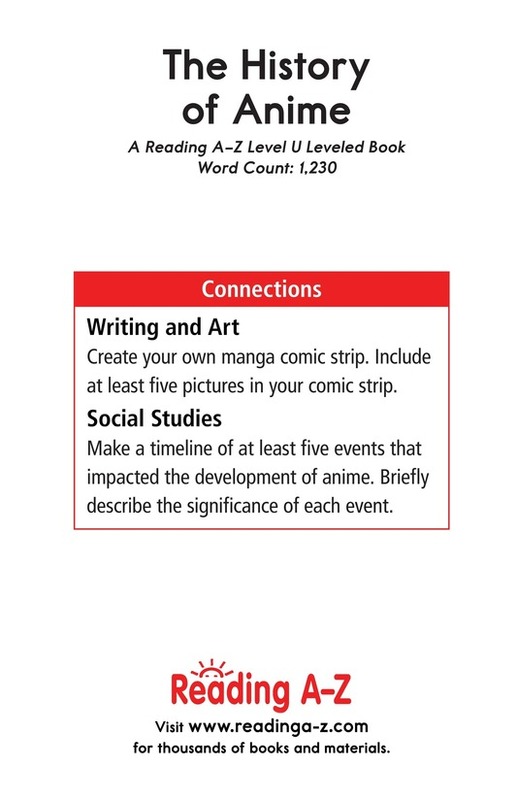 The book and lesson are also available for levels X and Z1.